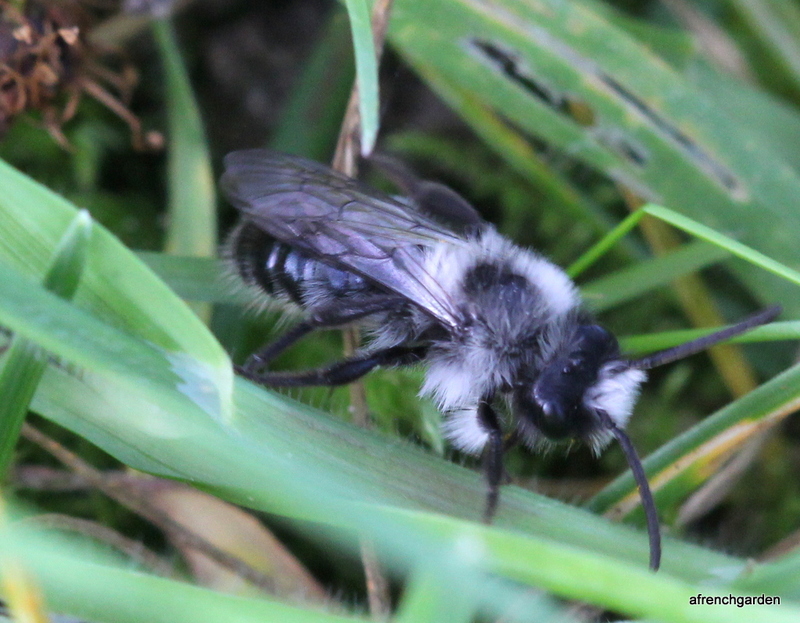 This entry was posted in Andrena and tagged andrena cineraria male, bees, gardening, nature, solitary bees. Bookmark the permalink. Great images Amelia, your persistance in checking under the tree was rewarded. I saw A. cineraria a couple of days ago too. Our O. cornuta have been flying for less than a week. I’m not seeing much solitary bee activity at all, although bumbles are increasing (a lot of worryingly small sized queens though). Honey bee activity has been high all month. 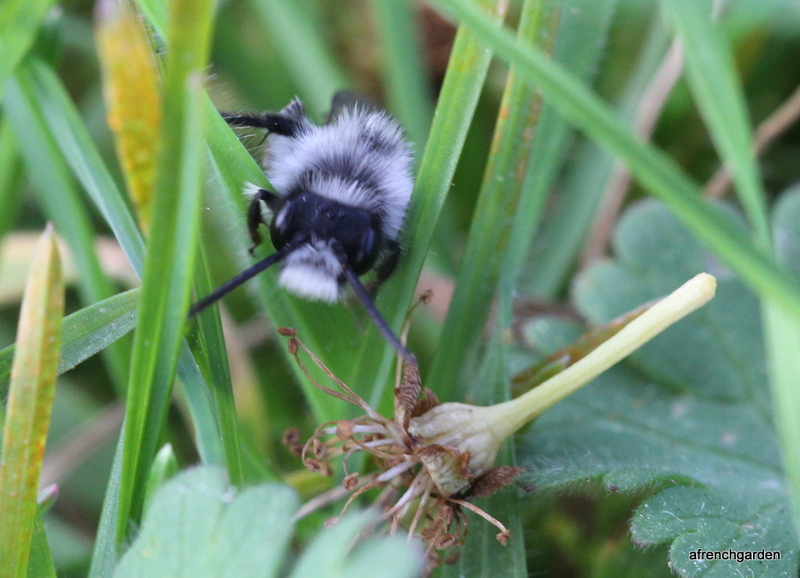 I have seen no O.cornuta although I was checking my nests but I am now in the UK. Are you sure the small size queens are not workers from early nests? I have had huge queens around. The B. pratorum queens are always considerably smaller though. I think I am seeing lots of terrestris and beautiful muscorum queens. 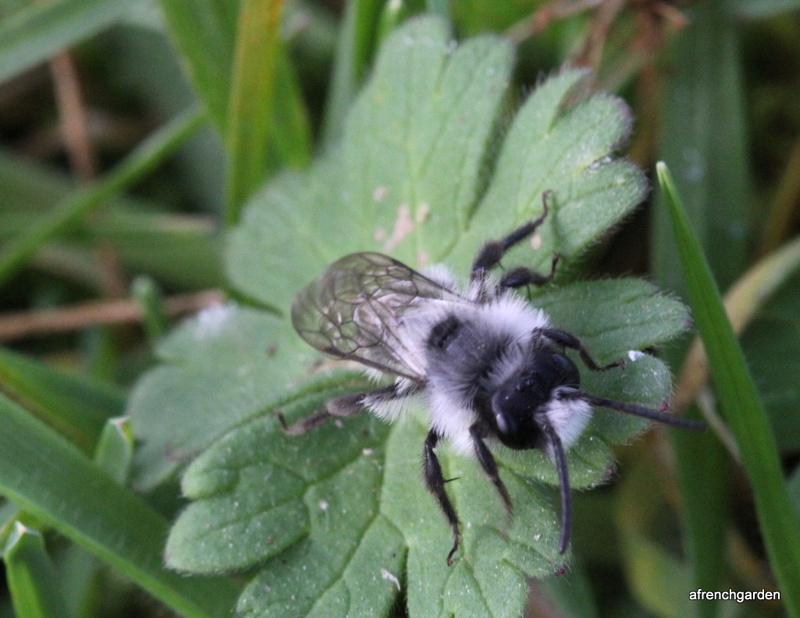 While cutting the grass we saw dozens of black & white bees in a 10ft square area. Busy, either fighting or mating! They kept going into the ground and coming out again. 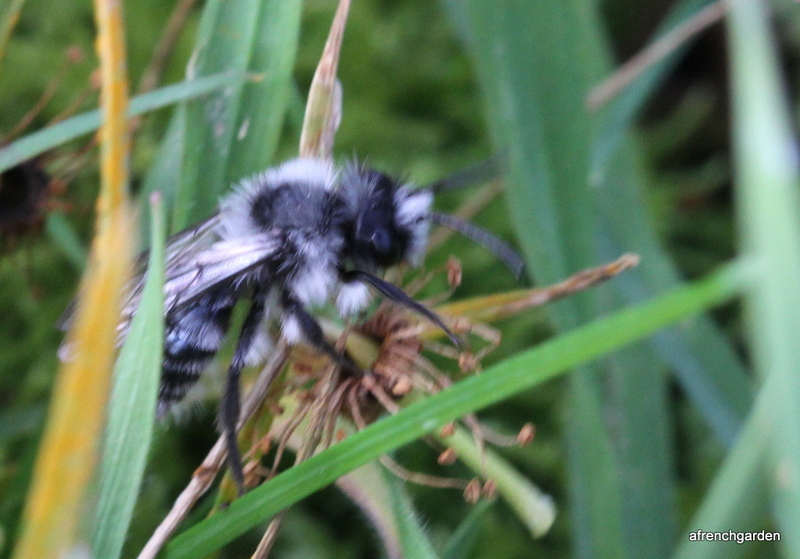 Were they ashy mining bees and what were they doing? Will they stay? The foraging photographer is my daughter and she suggested we ask you about them! Thank you so much! Thank you Amelia. They are still very busy and we will look forward to seeing them again next year. Lucy’s daughter, Thea, will be staying with us for Easter and, knowing her, will be fascinated by them!